The above is attributed to Kabir – someone who was a 15th century Indian mystic who influenced two of the world’s major religions – Hinduism and Sikhism. In fact, verses from Kabir are not only inspirational they are also to be found in the holy text of the Sikhs, namely the Adi Granth. This quote is one I found not long ago but it has really been on my mind. There are two reasons for why it has stayed with me. One is that the saint is aware of the scorpion’s nature – something that’s actually very telling. The other thing causing this quote to stick with me is that the saint pretty much self-identified as a saint to another human. Let’s look at the first part. The saint was well aware of the scorpion’s tendency to sting, even when being helped. The shortest assessment, probably, of the saint’s behavior in this context is that he simply didn’t care. At a bare minimum, he simply didn’t care that the scorpion had stung him and would continue to sting him. But why didn’t that matter? We have a modern saying that goes something like, “Fool me once, shame on you. Fooll me twice, shame on me.” We don’t like feeling like fools and most people would agree that, excluding all masochistic tendencies, to continue to do something that seems to be a source of pain (like suffering a scorpion’s sting) is foolish. However, that doesn’t really seem to be on the saint’s radar. There are two things I can say ARE on the saint’s radar: Awareness of the scorpion’s nature, and awareness of his own. The saint seems to be saying that it simply doesn’t matter if it’s painful to help. He knows (by recognizing the scorpion’s nature) that pain is likely. Since he’s helped more than once already, he probably recognizes that the scorpion will continue to need help. And he recognizes (by being aware of his own nature) that he will likely be stung again… and again. Seems like a bad combo, right? Why would anyone continue to place themselves in the position to be stung when all they are doing for the one stinging is helping? It doesn’t make sense… Unless you’re a so-called saint. The saint in our little story accepts the nature of the scorpion. He not only sees that the scorpion will sting him, but also knows that the scorpion, in all it’s scorpion-ness, will continue to need help. When most people come across the various kinds of scorpion-humans in the world, they do what they can to stay away. The opposite of help. Most think to themselves, “Why would any fool help someone else who is just going to sting them as repayment?” But the saint isn’t concerned with those kinds of thoughts or that mudane level of operating in the world… Because the saint knows his own nature. The second part of the story that has stayed with me is that the saint self-identified himself as someone who saves. Today, a statement like that would probably strike most people as pretty arrogant. The first thing that pops into my head when I chew on this is that the humility of someone who says, “I’m a humble person” is often questioned before they can put a period on the end of that statement. 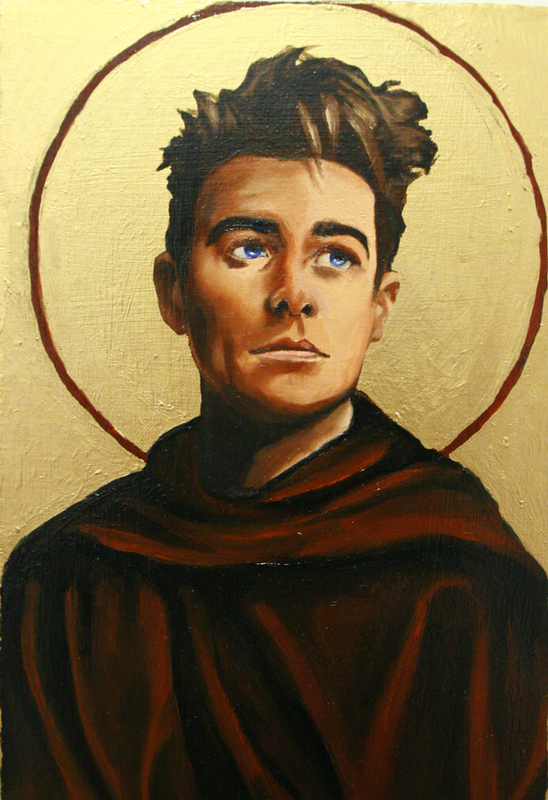 So wouldn’t the sainthood of someone who tells others, “I’m a saint” likewise come into question? Maybe, but maybe not. I suppose on some level this is no different than some teachers and guides and gurus saying they are beggars or a “servant of the servant,” something I’ve heard a lot. I know even within Heartfulness / Sahaj Marg our Masters or guides have made very clear that they are nobody to exalt, that they are here to serve. Somebody can say they are a beggar or – as we often see in Hinduism – that the guru’s padukas are all we’re worthy to touch. It’s all the same and it’s all a form of the person speaking about their own humility – and yet we’re okay with that, in that form. So this leaves me wondering a bit about other different-but-similar self-proclamations. When the person asked the saint if he wasn’t aware of the scorpion’s tendency toward stinging and was met with a response akin to “I save people,” how did that person respond? Are we supposed to question a saint’s assertion or just stay out of the way and let him or her keep sainting? Either way, I’m not convinced it matters much. What seems to be the real lesson of the short story this post started with is that some of us are here and have evolved in such a way so as to help – in whatever way we’re supposed to, at whichever time we’re supposed to – even if we know the scorpion is a selfish kind of idiot and seemingly undeserving. Q: Daaji, you had asked us to do some thinking on interiorization and internalization. I believe interiorization is in the experiential and internalization is intellectual. Am I on the right track? Daaji: In internalization something is given to you from outside and then you brood over it. Internalization is consuming for a purpose, to dissect something, intellectualize it, and internalize the knowledge. Internalization can be of so many things. It is a bigger spectrum. Interiorization is similar, but is of spiritual conditions. It is very specific to spiritual states. Look at it this way: you internalize knowledge or a principle. That way, when you look at our interiorization of the great Master, it is no longer a particular subject matter or matter of an entity. It is a matter of a principle. When you think of the inner Master, it is no longer a person who is the guiding force. Q: One goes beyond the physical level. Daaji: Yes. You are not relating to any person then. When your heart suggests something, does it say, “Oh, this is an inspiration from Mr X”? No it doesn’t. It simply draws from the Source, the inner guide. That is why we should simply follow the inner Master. Q: But if we consult the external Master and obey implicitly, then there is no conflict, correct? Daaji: But how long will you keep consulting? You see, revered Lalaji had to go, beloved Babuji, dearest Chariji, they all had to go. The whole sequence will go on. Each time there is a change, people are shaken up. They have to reorient, retest the new guy, and see if it is a fit for them! And then comparisons start. Q: How were you able to achieve all this? Daaji: I don’t think I have achieved anything. Q: We have seen you Daaji, right in front of us! Daaji: There is nothing to achieve! You already have it. Just enjoy life. Be yourself. Don’t push it. The more you try to run after it, the more it will run away from you. Don’t go for it. Be at peace, and if God wants you He will come to you! [Laughter erupts all over the room] Our job is to stay pure and simple. We don’t have bad intentions, we don’t want to hurt anybody, we are sincere, and we are loving. What more can God want from us? We don’t have to become negative. Stay positive and be grateful. There was a beautiful silence in the room and everyone was moved by the simplicity with which Daaji laid out what we ought to become. After a brief pause the conversation continued. Daaji: Skydivers can learn meditation easily. Let go and you are there! [Daaji laughs and everyone joins the laughter] Our situation is like a kite. It is hanging on one thread. Just cut it! But for that you need to be courageous. Don’t ask for it though. If it comes, accept it. If it doesn’t, don’t force it. 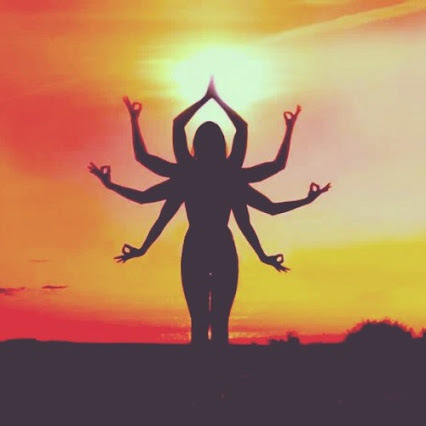 Transmission is something unique to the Sahaj Marg / Heartfulness path of raja yoga. In much earlier posts I wrote just a little about our sittings and prana, etc… But some people might well yet be unfamiliar with what “transmission” means in our context. By clicking here you can read a post about the unique method of transmission employed in Heartfulness / Sahaj Marg. I’ve pulled some excerpts from the link shared above that might offer you a digest version of this part of our practice. See below and thanks for reading. “Our body has its limitations at a genetic level – if you are going to grow to five feet five, you will only grow to five feet five, maybe five feet six if you keep on exercising. A five-footer cannot dream of becoming a six-footer. There are enormous limitations imposed at a physical level, restrained by the genes that we have inherited from our parents. “If you go to the next level, growth at the mental level, it is not as restricted. It is not genetic. If my father is a farmer, I have the possibility of becoming a PhD. A son or daughter of a rickshaw puller can still become a PhD but not all can become like Einstein. There is limitation there too, but there is greater flexibility than at a physical level. 6 p.m. on Tuesday, 27th September 2016. 6:30 a.m., 11 a.m. and 6 p.m., Wednesday, 28th September 2016. 6:30 a.m., Thursday, 29th September 2016. 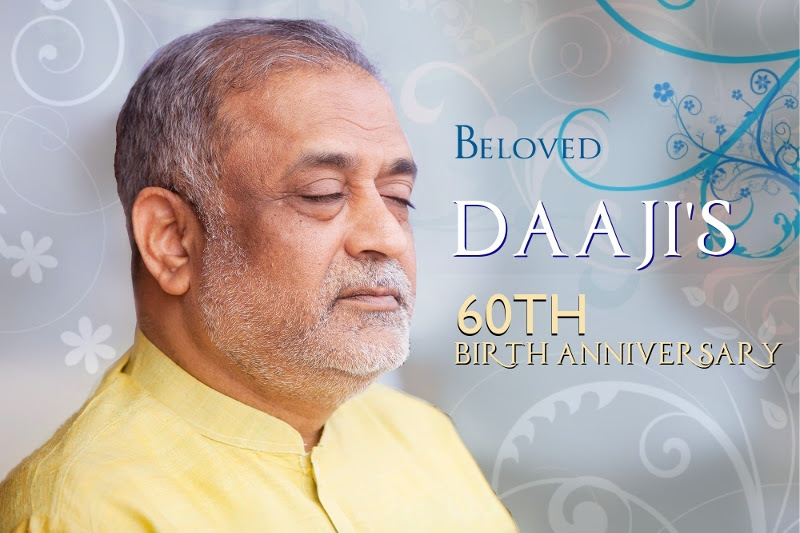 May we all express our love and gratitude to beloved Daaji by participating wholeheartedly on this occasion filled with Grace. While centres at local level may have a gathering planned during these days, it is not necessary of a special travel to an Ashram to celebrate Daaji’s birthday. Just a quick post to share here what I came across somewhere else. There’s a Blogspot blog related to SRCM / Sahaj Marg / Heartfulness which can be found by clicking here. The post you’ll see when clicking there isn’t a very long post but is a bit deep. Presented in a very basic manner, there’s a small discussion on samskaras and how they are viewed and approached by Sahaj Marg / Heartfulness / SRCM. From the Conclusion of Efficacy of Raja Yoga as found in Complete Works of Shri Ram Chandra, Volume I. Here are some notes I took from the reading. I’m sharing them here as reminders to myself of what I do well and what I might ought to improve on. Spiritual essence of food – Recognize it. Value it. Honor it. Don’t be fanatical about it. Try not to unnecessarily injure or prick the heart or feelings of others. Look to bright side of the picture. Always. One cannot become a yogi without actual practice with love and devotion. I was reading around online when I came across something I found to be interesting. The idea of an “incomplete sitting” was discussed here, in a quote by the current Global Guide of Heartfulness and Sahaj Marg, known now as Daaji. Anyone who has experienced the Sahaj Marg method of Raja Yoga knows what a sitting is. It’s possible that someone learning the Heartfulness path could meditate without transmission – but even among that group of newcomers, transmission or a “sitting” is commonplace. It’s a palpable difference – meditating with transmission versus without. Very recently, the sittings I’ve had have been altogether unique. A real shift in things experienced. I might write more about that later, but for now lets stay focused on this idea of an incomplete sitting. When I first started reading I thought the mention of an incomplete sitting sounds like something to certainly avoid. Since starting on this path of raja yoga there have been two times when I needed to excuse myself before the sitting or group meditation was technically finished. But that’s not what the link above will let you read about. In an informal discussion, Daaji shares that there are times when, while giving a sitting, he just kinda pauses it all. The sitting is started, and underway, and then is kind of boxed up in spiritual Tupperware and sent home with the abhyasis – usually without the abhyasi even knowing. Then later, if the abhyasi sits at home, the rest of the “meal” can be enjoyed. Two gurus earlier in our lineage (I mean, two before Daaji), Babuji was known to have said, “Ghar jaake dekhna” which translates to something like, “observe at home.” It’s important to note our condition immediately following the sitting, but it can apparently also be quite beneficial to collect ourselves again once we’ve returned home and finish tasting the sustenance just received. I have never heard of any prefect or preceptor doing this – only Daaji (and Babuji?) so I doubt it’s commonplace at all and, in fact, is maybe even something Daaji would advise against generally. We’re encouraged to be fully dedicated to our practice and this kind of playfulness should likely be reserved for someone with more mastery than the average abhyasi or prefect. Still, I kind of like the idea… spiritual left overs to be enjoyed after we get home from the sitting. They say chili soup is better as leftovers. What a treat to be able to carry home some “uneaten” prana and bask in those leftovers there.